Fritz’s girlfriend, Meghan, came home from work at 11 on Thursday night and announced that Ashley’s Night Blooming Cereus was blooming. We were out the door in a flash, to find Ashley and friends upstairs in his dark studio, with a flashlight, to watch the incredible one-night-a-year bloom. (My own cereus has never flowered.) For some reason Ashley’s plant has been producing blossoms every month. There was one in June and two in July! I was happy to catch the August blossom, (my first viewing ever) and to see that there are two more buds. The flower is quite spectacular in looks and smell. 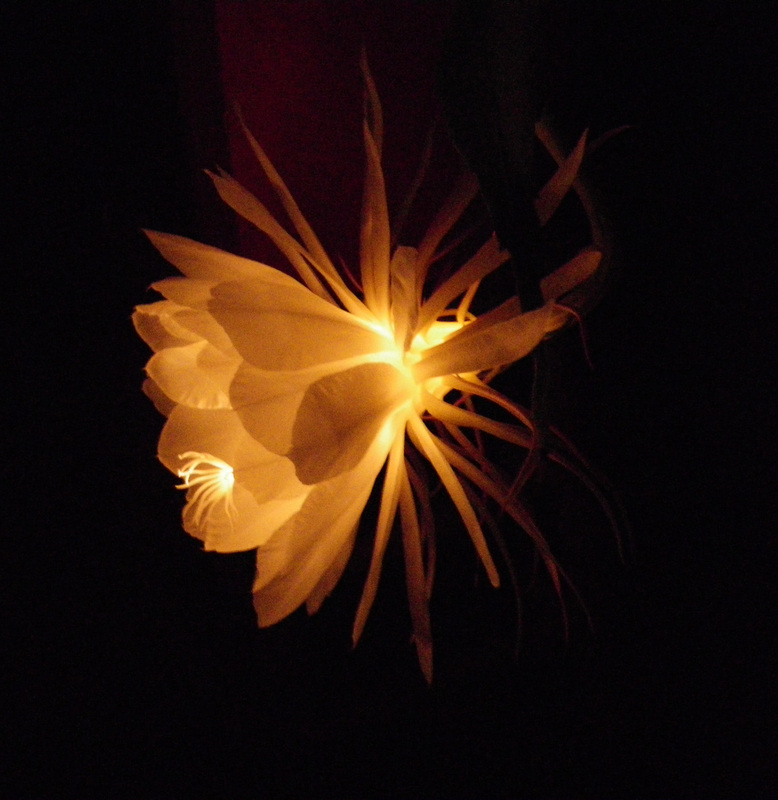 There is something special about sitting in a room with just a few friends, at midnight, in the midst of frantic frantic August, to quietly watch an exotic flower put on a spectacular show. It was a tiny moment of grace in a week of craziness. These photos are stunning, Barb! Thanks so much for sharing. Thanks Wendy. The flower was the stunning part. Photos were just from my point and shoot while someone was holding a flashlight. What an amazing plant! How was your reentry after the conference? oh my god. quite possibly the most beautiful flower ON EARTH. so, it blooms one night and then the blossom dies? Yup. Ashley said he woke up around 3 a.m. to check on it and it had already started to close. By the time I saw it the next day it was all closed up. I’ll post a photo when I take it off my camera. 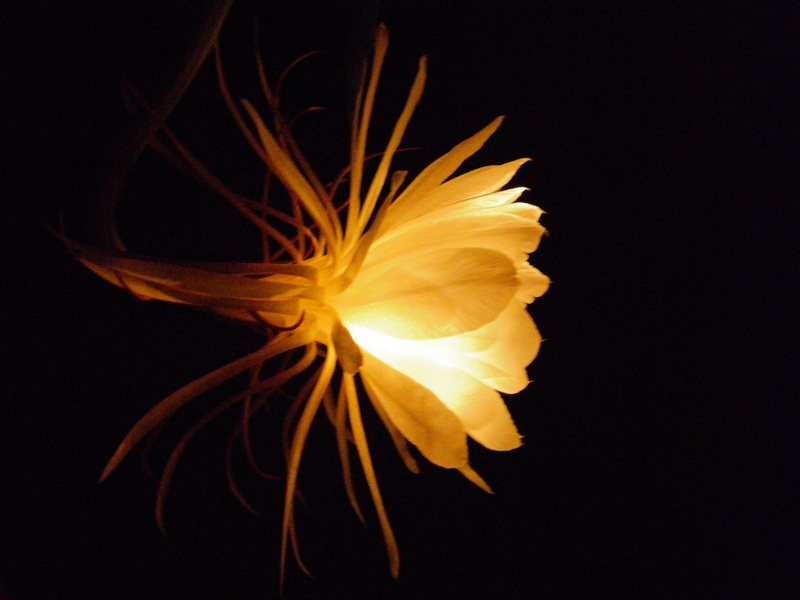 Awesome photos of Ashley’s night blooming Cereus! Love your new jewelry too! Thanks, Gail. 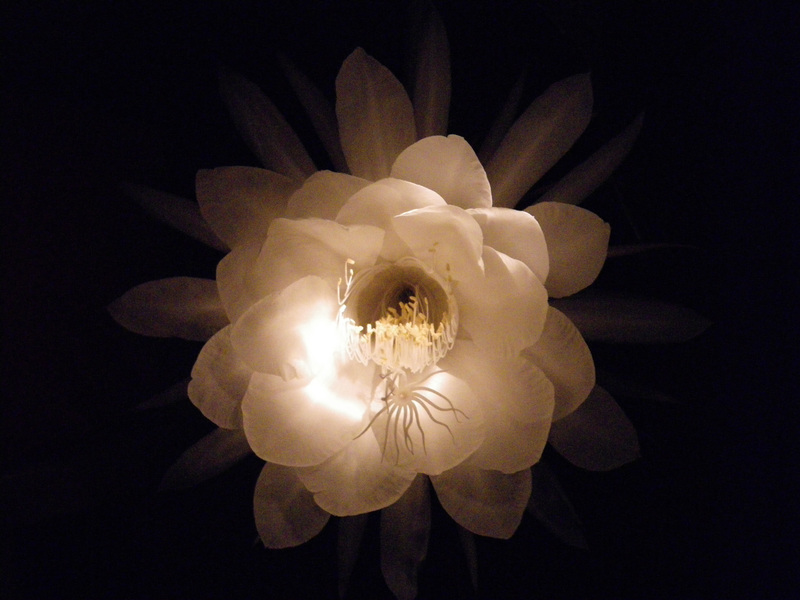 If you had one of these flowers you would be drawing in the dark! Can’t wait to see you soon! 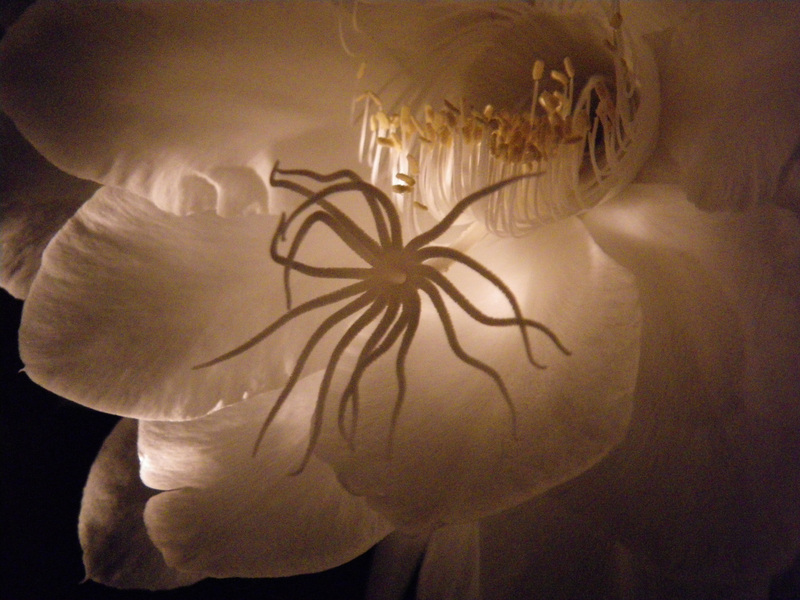 Barb – Wonderful photos of Ashley’s Cereus! We once stayed somewhere in a warm place … don’t you just love how the memories just keep flooding back? Anyway, there was a cereus there and altho’ I hadn’t heard of it at the time, the innkeeper told us what it was and that we should keep our eyes on it because it was going to bloom. Despite staying up late, and peeking in the middle of the night, I never saw it blooming … only begin to curl up the next day. Thanks for being there with camera! They were lucky shots. Just came home from Literary Evening. Ashley said his next two blossoms will probably be out tomorrow night. Are you on the island? Bring your camera and a flash light!